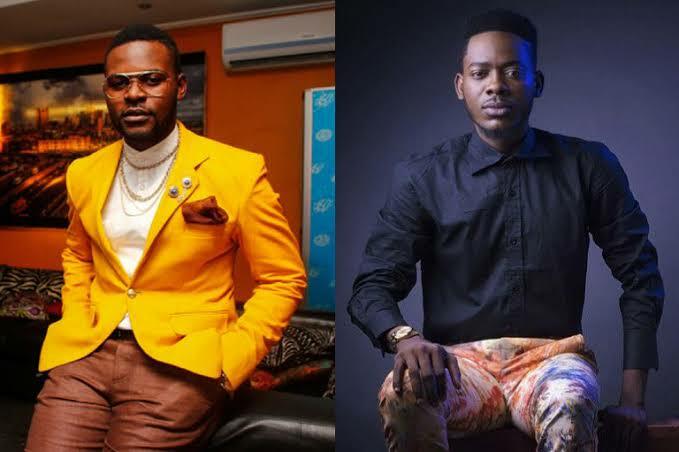 Popular Nigerian musicians, Folarin Falana, popularly known as Falz as well as Adekunle Gold have criticised the Independent National Electoral Commission, INEC over the postponement of the general elections. INEC Chairman, Mahmood Yakubu had on Saturday shifted the elections few hours to the opening of polling units on Saturday. The commission blamed the postponement on logistics challenges that could affect the process negatively. Falz in a post on his Twitter page described the development as disregard of Nigerians by INEC. The ‘Moral Instruction’ crooner,however, noted that he would still vote with his PVC no matter the anger towards the decision. On his Twitter page, Falz wrote: “I think anger is an understatement of what we are feeling right now. The level of disregard is appalling. “But guess what? If INEC like, postpone from now till next year, we are here waiting with our PVCs! Nothing can stop us! Make una begin dey pack una bag! E don do! Also, Adekunle Gold took to his Twitter page and described INEC as ‘Farce’, adding that the decision to postpone election is the highest level of irresponsibility by the electoral body. According to him, INEC has shown it does not care for Nigerians . Gold wrote: “INEC this is definitely the highest level of irresponsibility. You had 4 years to prepare for this election, still, in the dead of the night, you made a decision like this. “I believe you are an “independent” commission that does not care about the independence of your people. You are a farce! Actor Gbenro Ajibade rants on IG as he finally opens up about his alleged marital crisis.